Summer is not over yet (even though people are already starting to talk about fall). 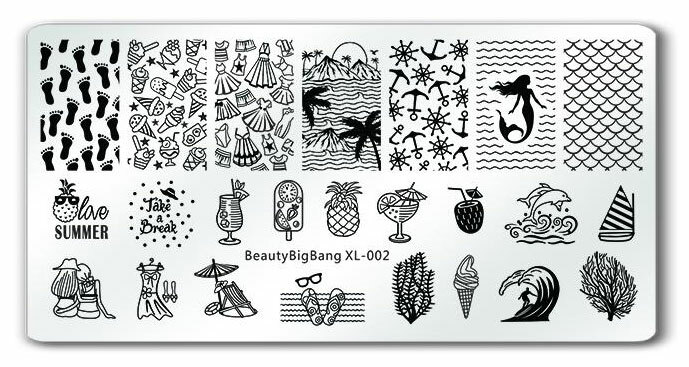 I’m happy to hang onto summer a little bit longer with my final review of the stamping plates that Beauty BigBang kindly sent to me: BeautyBigBang XL-002. It’s a little bit tropical, a little bit food/drink, and a little bit mermaid. You can guess which theme sold me on this plate. The etching quality is good as I’ve come to expect from Beauty BigBang. 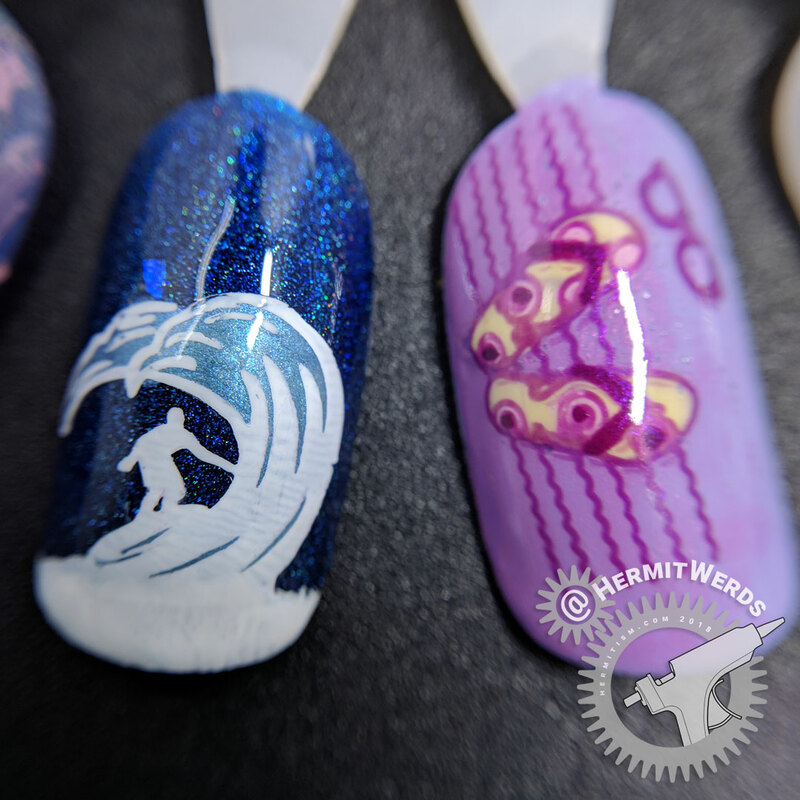 They aren’t super deep or shallow so they will work well with both super thick stamping polishes like Mundo de Unas and lighter ones like Born Pretty’s. Used with regular polish you will get ok results, but not great. Since I was painting on my natural nails today and they have become very short due to non-blog related activities I had no problems getting the stamping images to fit nicely on my nails. 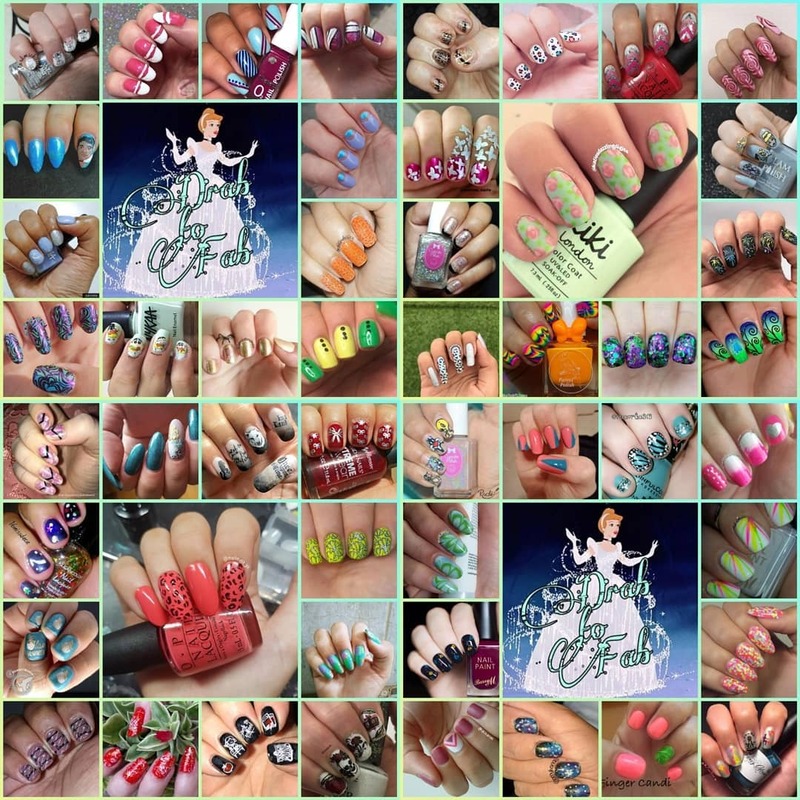 That is good news since more people have short nails than long. However, as I said in a previous review of a Beauty BigBang rectangular plate, the full nail images are a little less wide than their square plates’. Surfing. Background is Colores de Carol’s “Snow Boots”. 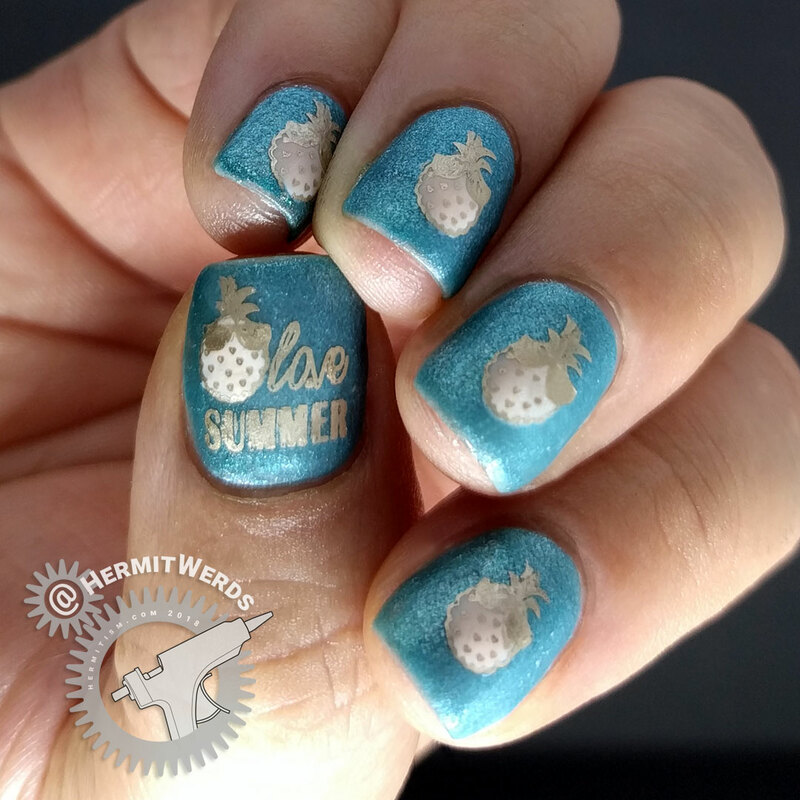 Stamping done with Mundo de Unas’ “White” and filled in with Sally Hansen’s “Pool Party”. White polish freehand painted across to anchor the stamping image. Flip Flops. Background is gradient of Sally Hansen’s Insta-dri “Lively Lilac” and Sinful Colors’ “Truth or LavenDare”. 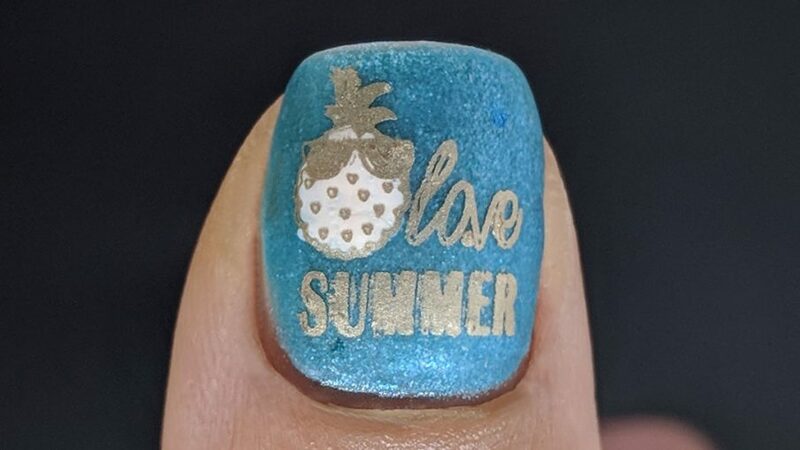 Stamping done with Sinful Colors’ “Fig” and filled in with Jenna Hipp’s “Say Yellow to My Little Friend” and Sinful Colors’ “Fig” and “Pink Smart”. To combat how busy a super shimmery polish like “Palm Breezy” is when photographed, I decided to go with a matte look for this nail art. It really tones down the sparkle so you can see the details. 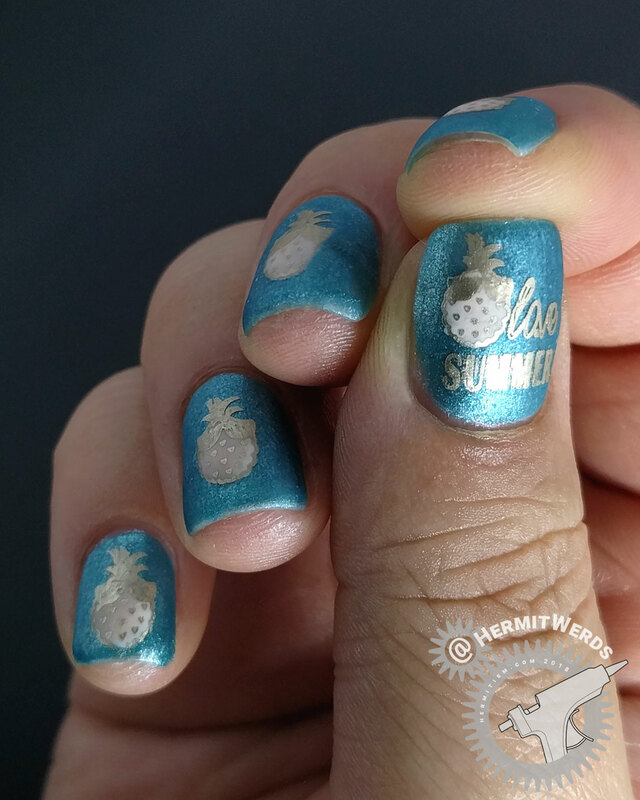 I didn’t have too many troubles with stamping, although I did have to turn off my fans to get a clean image since one corner of the pineapple really didn’t want to pick up with all that air flow going on. Summer is too hot. Long live summer (kinda). Edit: Really happy. I didn’t post my photo on Instagram last night and the collage went live today. Since most people probably visit my blog from Instagram and not the other way around I wasn’t too big of a jerk. Sorta.